Germantown home and business owners can trust Master Plumbing & Mechanical Inc for reliable service at a fair price. Spring has sprung here in Germantown, Maryland. While you prepare your home for the warm and sunny weather, ensure that your plumbing is in good working order. Germantown home and business owners can trust Master Plumbing & Mechanical Inc for reliable service at a fair price. 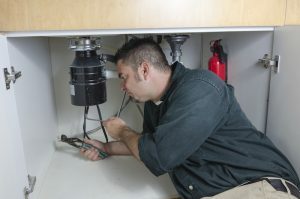 Here are just a few of the services our master plumbers can provide for your home. Citizens of Germantown, Maryland understand the value of a well-designed bathroom in their homes. Whether you go the DIY route and remodel your bathroom yourself, or decide to go with a professional contractor, it is important to make sure that all new and existing plumbing connections are made correctly and are up to code. In addition, if you’re planning to construct new walls, you’ll need a licensed plumber to place them and your plumbing drain pipes. Master Plumbing can assist you or work with your contractor to ensure that everything regarding your plumbing and water supply is considered carefully before, during, and after the remodeling process. We can also help install new tubs, showers, and sinks and help you pick out new fixtures. Floods and other water damage are responsible for a great deal of damage to homes every year. Installing a sump pump is perhaps the most important step a homeowner can take to protect their home from this kind of damage. A sump pump works to remove excess water from your home through its wastewater pipes or through a secondary drain pipe. If you’re having trouble with your current sump pump or experiencing the damage of a flooded basement, contact Master Plumbing. We can assess your Germantown home and property and determine the right sump pump solution for your needs so you don’t have to worry the next time a huge storm rolls into town!